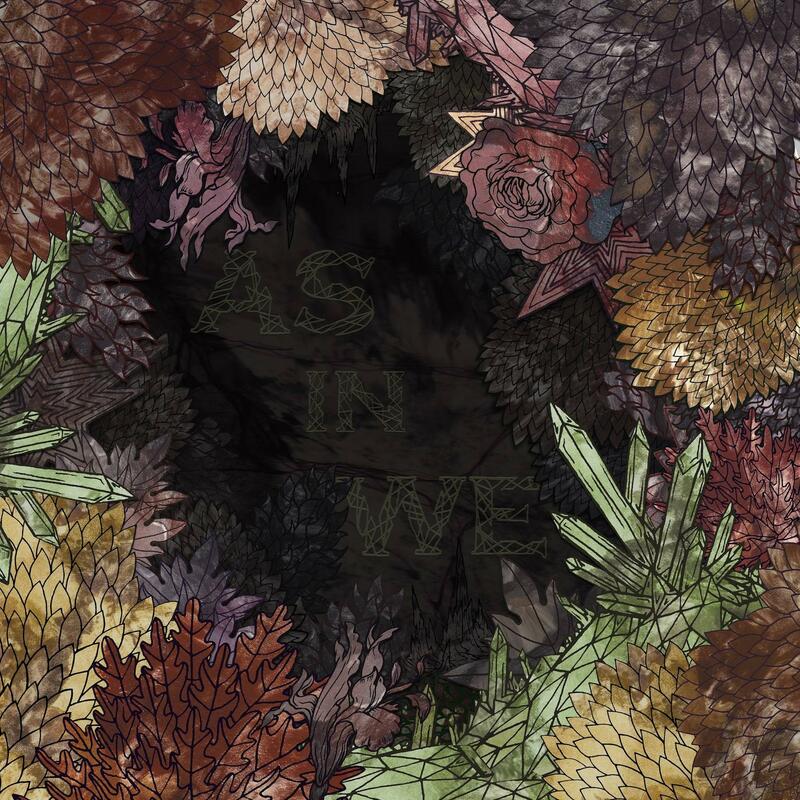 As In We is a relatively new post-rock band who incorporate a generous amount of math-rock and aspects of metal. Originally a three-piece, they gained a fourth in the midst of creating their debut album. They first started turning heads in New Mexico, and eventually went all the way to open for a sold out Smashing Pumpkins concert. Admittedly, I am not a huge fan of metal which they tend to incorporate in their work, so I was a little skeptical at first. However, when I got over my pre-existing opinions of metal, I really started to appreciate and enjoy their music. Post-rock, math-rock, and metal, I came to acknowledge, form a pretty lethal and dynamic combination. Math-rock doesn't usually frequent these hereabouts on Earmilk, so I'll give you a core definition, as it's important to understand what it is when I refer to it. Math-rock is a branch of experimental rock where it is rhythmically non-traditional, unorthodox, or complex. Typical math-rock style deviates from the normal 4/4 meter, and use asymmetrical time signatures such as 11/8 or 13/8 (think of Battles or The Mars Volta). Thus, the term math-rock was born. With that in mind, go ahead and stream "To Be Able To Be Okay" and "Three For All", songs from their self-titled debut album As In We. You'll notice throughout the songs that there are many tempo changes, crescendos, decrescendos, majestic picking, metal-style guitaring, and occasional pauses. The flow and ebb of the organic structure can be rather sharp, and may take you be surprise if you aren't prepared. The strange tempos, guitar notes, and any erratic changes pay homage to that style we talked about earlier: math-rock. And if you listen to post-rock before, you can definitely see why they are a post-rock band as well. It's getting harder to make a unique sound these days, being that equipment and other musical tools are affordable and readily available. However, As In We have managed to create a personal face of their own with their debut album As In We. I know metal sometimes gets a bad rep or is entirely misunderstood, so give their work a chance if you are a post-rock/math-rock fan in the slightest. Besides, a good dose of head-banging is in need from time to time. The album is called "As It Should Be" .